I’m a tech-head mum with a love of vintage. Needless to say, it’s a rare find when these two loves meet and Avakai is just such a find. 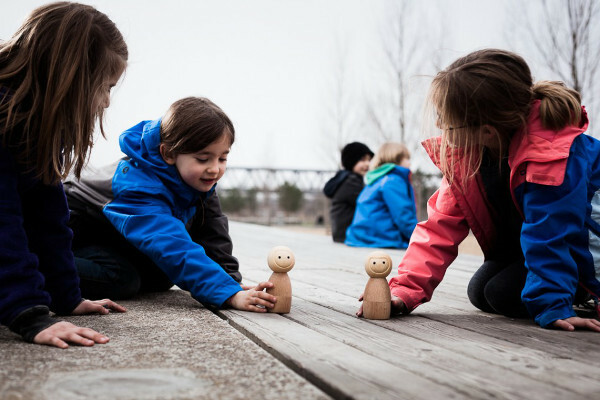 A beautiful wooden figure outside and sophisticated tech inside that encourages screen-free play and emotive communication. Colour me delighted! At a glance this toy is just an adorable figure with a sleek minimalist look and no predesigned personality or emotion, allowing children full imaginative control of their Avakai’s personality. 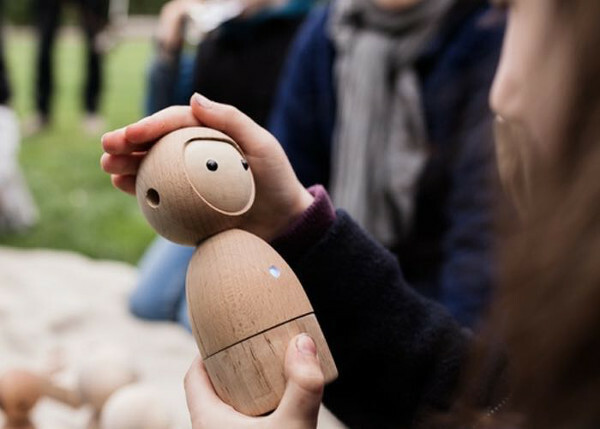 Made of smooth wood that is sensitive to touch, Avakai communicates through musical sounds and a small light in the centre of their body. No need for words here, just the universal language of the senses: touch, sight, and sound. 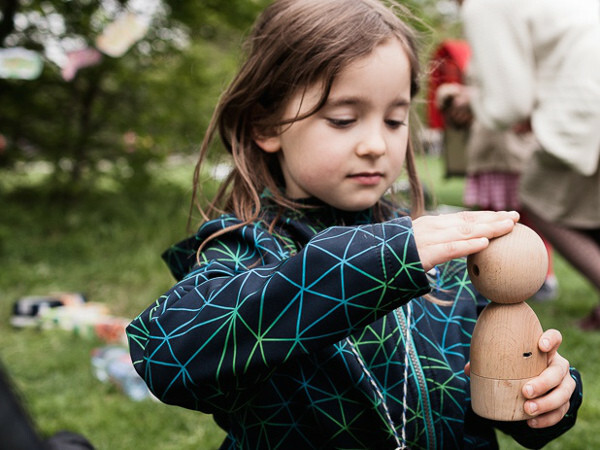 There are three main ways to interact with your Avakai, but the possibilities for educational play are endless. Firstly, if you tap an Avakai’s head they play a musical tone, that will then be repeated back by the nearest Avakai or connected mobile device. By tapping back and forth, children can create their own unique language and have conversations spoken only in musical tones, communicating beyond words. Avakai can also express mood via the colour of their light, which changes when you stroke their head. This aids children in developing emotive communication. Hold and Avakai with both hands to give a hug and a message is communicated to the nearby device. This is the key to the magic of Avakai, their proximity sensing allows them to communicate with other Avakai and mobile devices. The closer an Avakai is to another Avakai or connected mobile device, the stronger they communicate with musical sound, lights, and touch feedback. This makes them ideal for playing games like hide-n-seek or treasure hunt, and encourages children to experiment and create new games. Watch the video below if you want to know more about the story of Avakai. Originally developed for children aged between five and nine, Avakai has received positive feedback from people as old as three, and as young as sixty-eight. Although Avakai use a mobile device, they are both private and safe with no cameras or microphones, plus additional security controls for parents. Avakai are currently running a Kickstarter to get this fantastic new toy into production. Pledges start at €5 and for a pledge of €69 or more you get one of the first Avakai to be released. Bridging the gap between traditional and tech, this is surely the future of toy design.